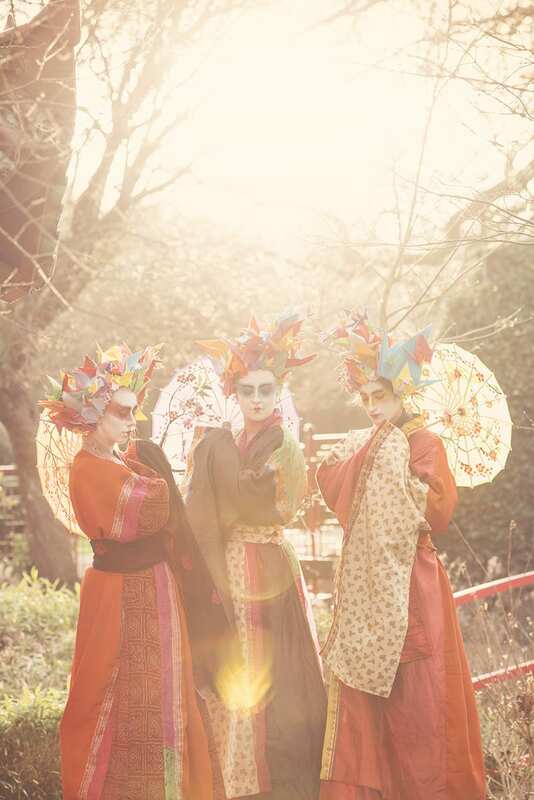 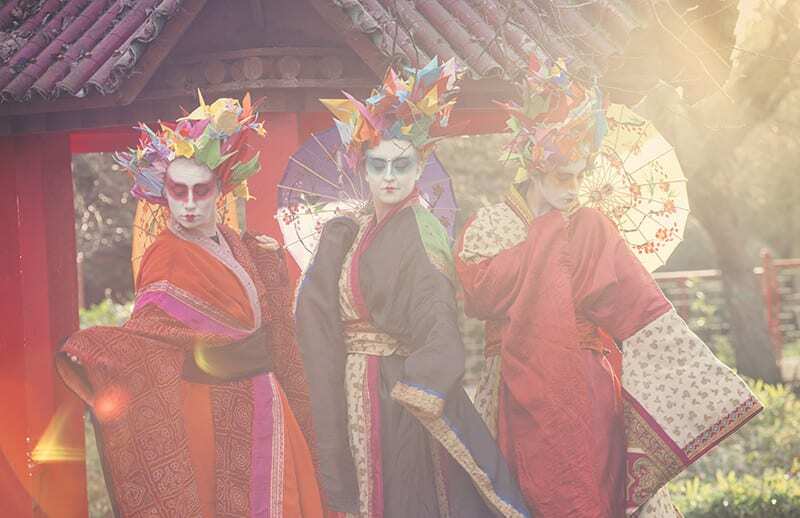 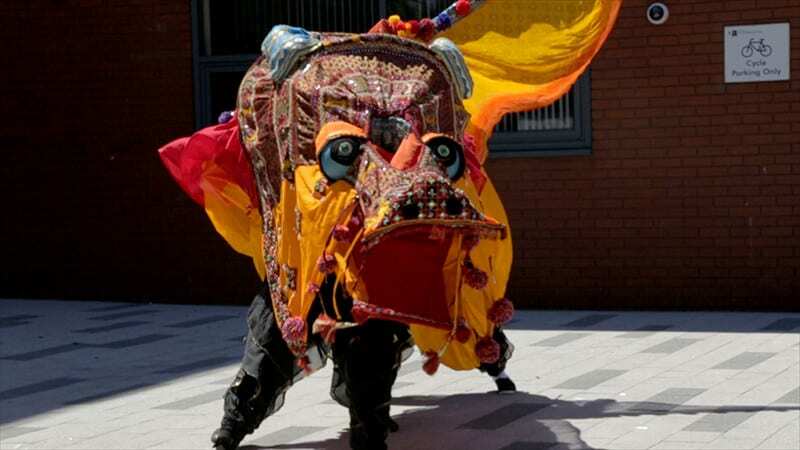 An almighty puppet dragon will create a huge spectacle that can be seen from afar, the Conjurer will trick and amaze with his crystal contact juggling ball, as the beautiful kimono crane characters tower above all, audiences will be mesmerised by our incredibly stunning Orient inspired acts. 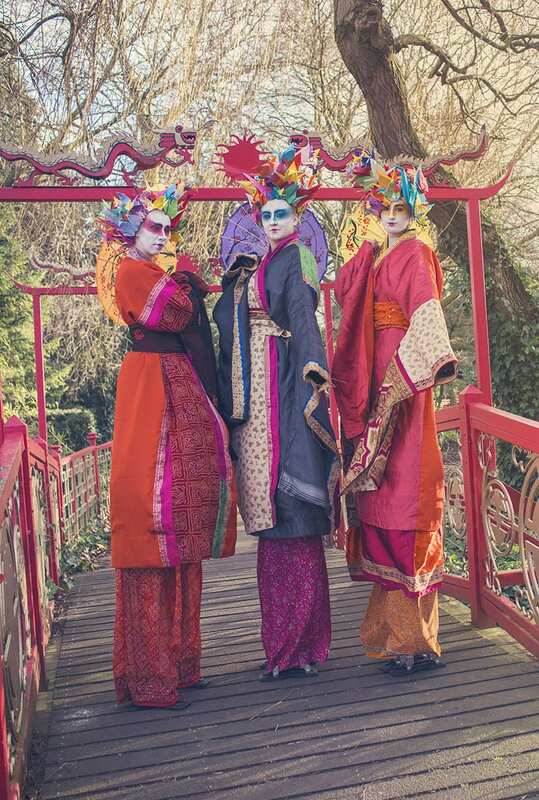 Live acoustic musicians with gong, hang drum and crystal bowl instruments create an ambience and atmosphere that adds to the beauty of the Orient. 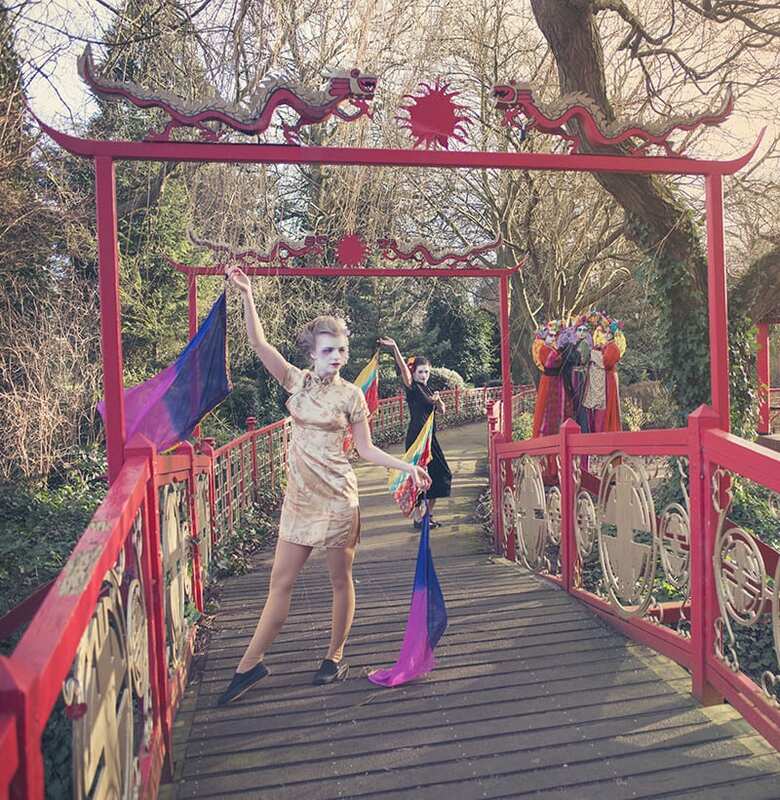 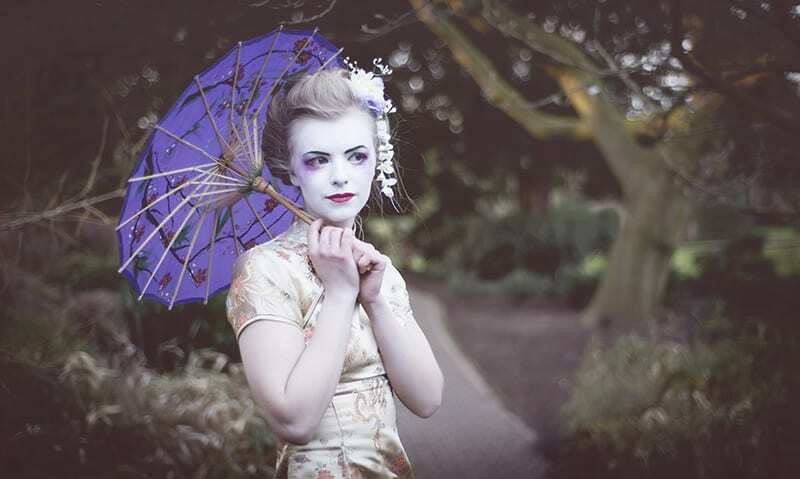 As new and beautiful acts and part of our in development show ‘Tao Tales: The Conjurer and the Moon’ scratch performances at Attenborough Arts and Kirby Muxloe Hall have been previewed.